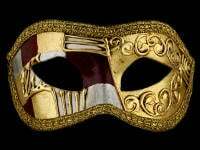 Lock in your designer credentials with this ultra-stylish White Phantom of the Opera Venetian Masquerade Face Mask. 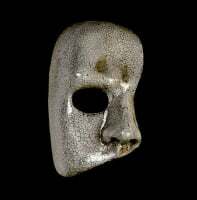 Perfect for translating your fashionable attitude at all times, this gorgeous mask features a traditional aged antique white paint finish for ultimate style. 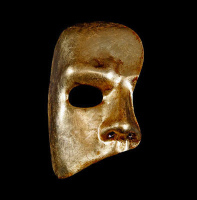 Be in the spotlight with this eye-catching mask for men (or women of course). 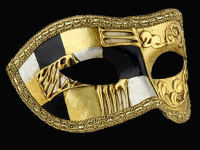 All our masks are hand made and painted in Venice then shipped to the UK by Simply Masquerade just for you.